The focus on ultimate comfort and ease of use on the RB-3i is further demonstrated by the step-through design of the main frame. This design feature ensures that the getting on and off the bike can be done without undue stress on the joints. In addition, to ensure the perfect 'fit' for every user, the comfortable seat is highly adjustable for position and the console has a tilting facility to ensure the backlit LCD screen is clear to read for all users. In addition to its ergonomic design, the RB-3i has s highly functional and easy to use console. Upto 4 separate users are able to store their age, gender, weight and height into the console to for more accurate calorie consumption figures when exercising. A choice of 12 pre-set programmes provides variety, whilst the Watt control programme automatically adjusts the resistance, taking into account the pedalling speed to ensure a constant level of intensity through the session. 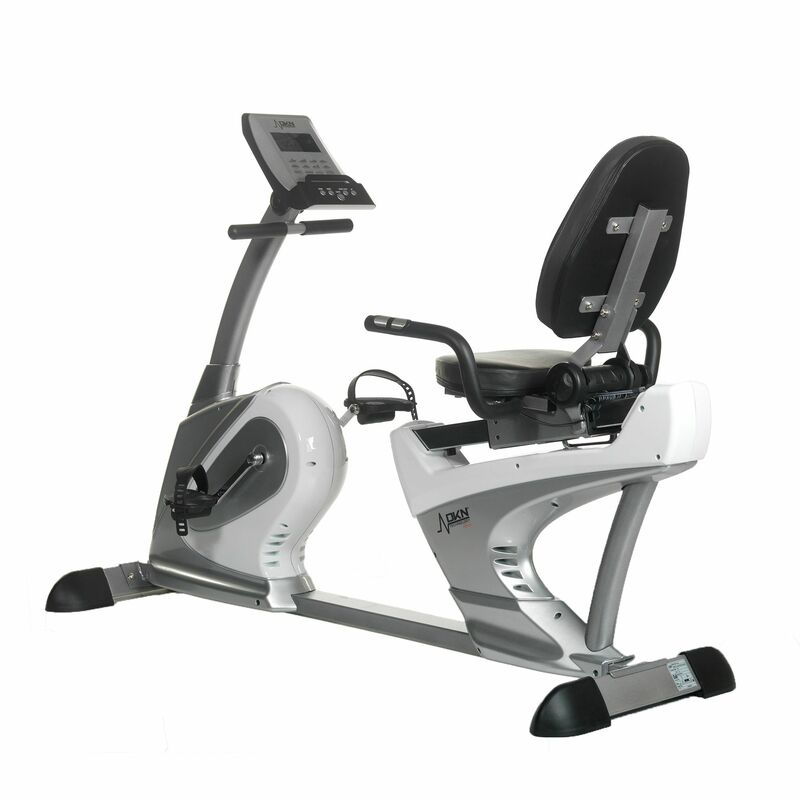 The DKN RB-3i recumbent exercise bike features a bright, backlit 2 colour LCD console which provides feedback on exercise time, distance, calories, speed/RPM, Watts and heart rate. It offers Watt control, heart rate control, one manual and 12 pre-set programmes that are organised into groups of 4 for beginner, advanced and performance. Heart rate with the DKN RB-3i can be measured through the hand pulse sensors, or for the ultimate accuracy a chest strap (not included) can be used with a wireless receiver. The DKN Motion application that can be downloaded for free from iTunes or Google Play Store enables you to design, program and perform your workout in your place whenever you want to and allows up to 12 personalized users to store their workout data. 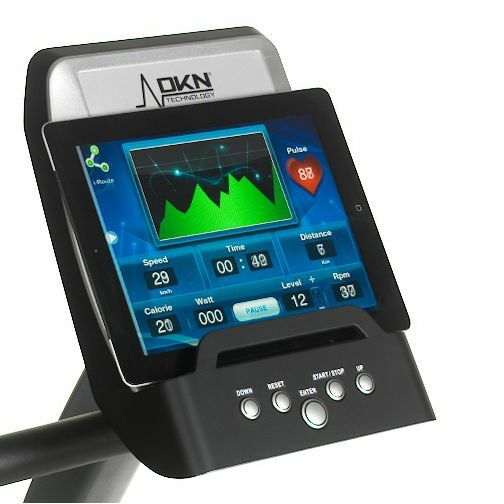 The DKN Motion integrates Personal Coaching, Watt control and heart rate control into your lifestyle, yet still offering the classics including manual control, programmed runs, endurance, warm-up and calorie burn. The Multitasking feature gives you the opportunity to watch your favourite movies, listen to the music, check your emails and use social media websites once you have started a programme to make your training sessions exciting and versatile. The i-Routes feature allows for exploring some of the world’s most iconic tours. All you need to do is to select a trip, press start and start training wherever you want. To provide a more realistic experience the programme cooperates with the incline and decline feature. Thanks to the Workout History you are able to save the key statistics from each training session, as well as to view the 10 most recently saved sessions for the selected user. 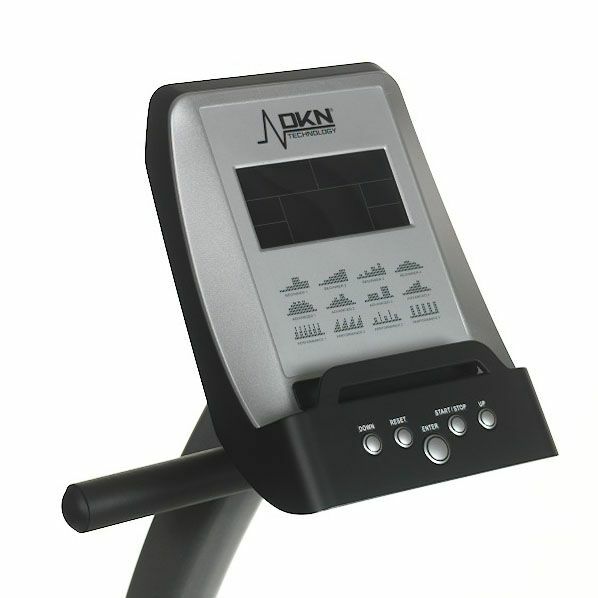 The machine is also compatible with the DKN iWorld application to allow for moving your workout to any place on the globe. It enables you to choose favourite or create your own route, toggle between Map, Streetview or Satellite, follow the real terrain elevation and to monitor the progress in our iLog. The app lets you share each workout with friends and provides motivation through exploration. It supports iPad, iPad 2, iPad 3, iPad 4, iPad Air and iPad mini. After an initial hiccup with the delivery company, my new DKN RB-3i arrived today. It took about 2 hours to put together and looks most impressive. I'm personally finding it quite hard to use though as no matter where I position the seat, the bend in my knee at full pedal height is too much for me. I suffer from osteoarthritis and do not have a lot of flexibility in my knees at all. If I position the seat back so that my knees are comfortable when bent, then it is too far at full stretch to reach the pedal. I find getting my feet into the pedal straps also a bit painful as you need to put one of your feet in at full knee bend. It's a good bike, but perhaps not the best choice for the less mobile trying to get back to exercise. I'm hoping it improves with me or I will have wasted £500! Your service was very good. It took me about 3 hours to put it together. I bought it to exercise and to keep fit. It's very comfortable. The machine is very well made, solid and the display is readable and clear. It's good value for money. I would definitely recommend this bike. 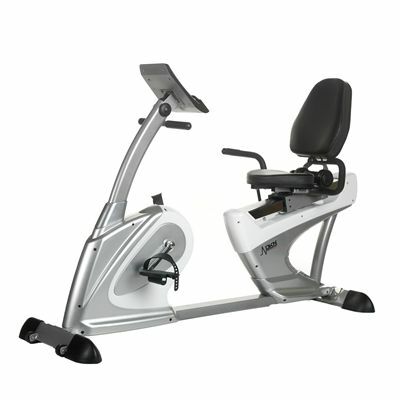 for submitting product review about DKN RB-3i Recumbent Exercise Bike.